I usually make stuffed cabbage rolls with ground beef, but this time I found this recipe and decided to try making them "italian style". They were a big success! We loved them! Core as much of the cabbage as possible before the actual steaming. Do not remove the outer leaves. Steam the whole cabbage in a large pot with about 2 inches of water. 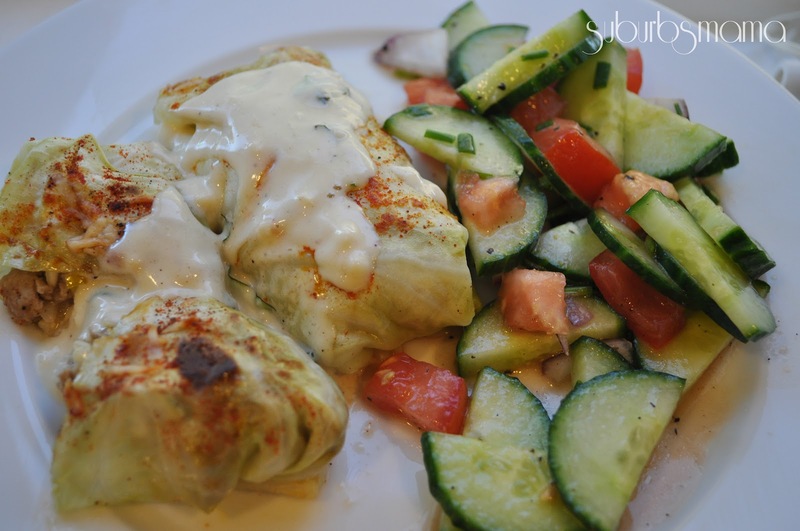 When the cabbage has cooled enough to handle, use a pairing knife and cut off the thick base of the cabbage leaves. Brown the turkey and onion. Transfer into a large bowl and add the grated asiago cheese, garlic, brown rice, chopped parsley, salt and pepper to taste. Stuff each cabbage leaf and fold them over like a burrito, place the rolls seam down in a baking dish that has some chicken broth on the bottom (1/2 cup). 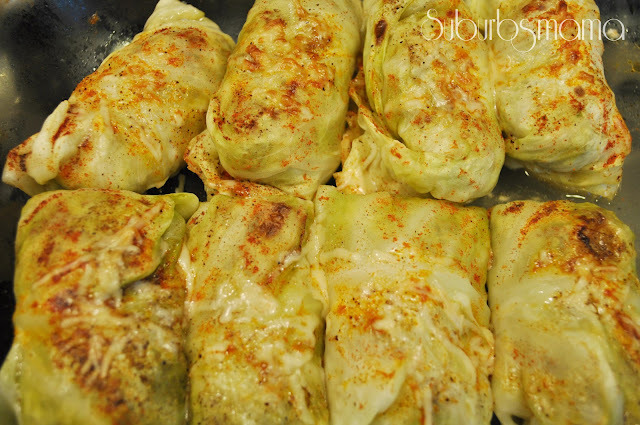 Drizzle cabbage rolls with olive oil and sprinkle with paprika, grated parmesan, salt and pepper. Cover loosely and bake for 35 minutes in a 350 degree oven. Saute 2 shallots in 1 TB of butter, deglaze with 1/4 cup of white wine, then add to that 1 1/2 cups of chicken broth and equal amounts of cream and whisk together. Snip in fresh basil into the sauce and let it reduce down until thickened, adding salt and pepper to taste. 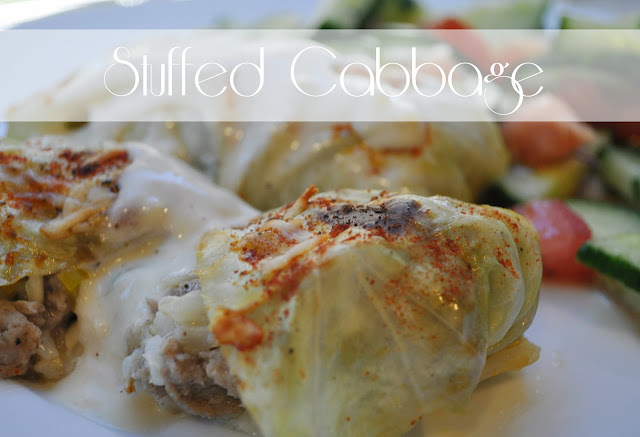 Spoon the sauce over the cabbage rolls when serving.